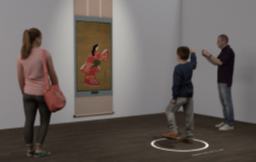 Tokyo National Museum will hold the family-oriented program, TNM and Art Tunes! Present: Becoming Japanese Art, to coincide with summer vacation. This exhibit is like a museum where you can become part of the art! 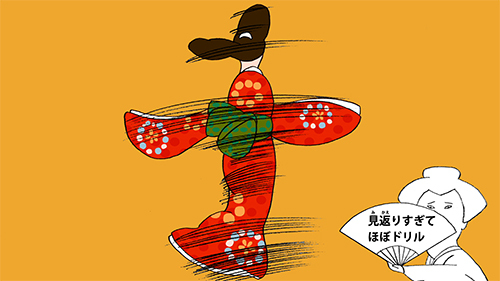 This is a special art museum for people who have fallen in love with art by watching the NHK show Art Tunes! and also for those who want to enjoy art even more. It’s open this summer at the Tokyo National Museum (TNM). TNM is the oldest and largest museum in Japan. Its collection includes art works that have inspired songs and animations on Art Tunes! The key to enjoying your time here is, of course, “becoming the art.” By imagining you’re the character in an art work, or the artist who created it, you can make art even more fun. Here, through reproductions and videos, you can “become” five art works that have been featured on Art Tunes! After having fun with the art, why not go check out the actual works? This is a rare chance to encounter some of the works featured on Art Tunes! Art Tunes! What is it? Art Tunes! 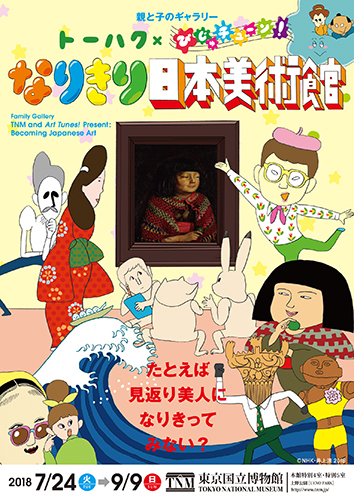 is a show on NHK Educational TV that introduces art from around the world in an easy-to-understand way through original songs and animations. 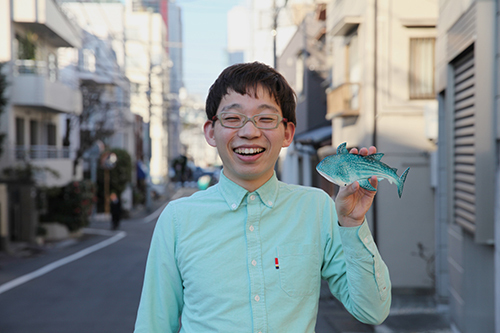 The music, lyrics, and animation are all created by the artist Inoue Ryo. Vivid images, warm, funny lyrics, and catchy melodies came at you one after another. Inoue’s unique interpretations of art will capture your heart. From kids to adults, the show is sure to make anyone who watches want to check out the featured works. Make friends with art through this new program, airing weekly on Wednesdays at 7:50 PM. 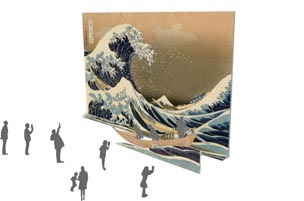 Experience the Whoosh and Crash of Hokusai! 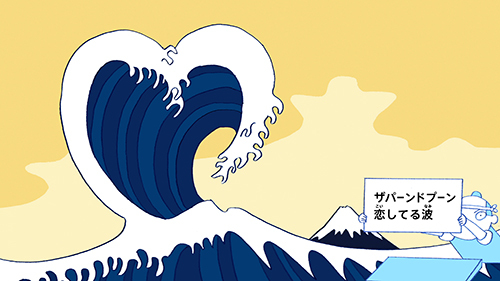 The wave looms even taller than Mount Fuji. Imagine that you’re in the picture, rowing out to sea, and experience the power of the wave. Is she looking back because someone called out to her? Or is it because of something she passed by? Imagine the people around her, or come up with a backstory and imitate her pose! 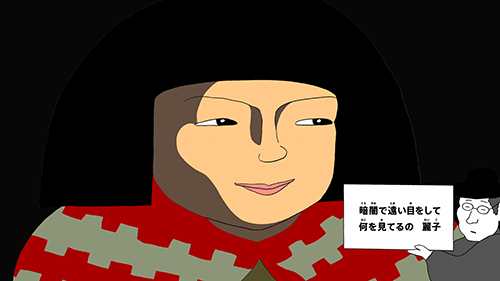 This young girl, Reiko, has a mysterious and unforgettable expression. What could she be thinking about? Use your imagination to get inside her head. * Special exhibition "JOMON: 10,000 Years of Prehistoric Art in Japan" (Tuesday, July 3 - Sunday, September 2, 2018, Heiseikan) requires a separate admission fee. PROTOTYPE INC., TNYU Inc., TOPPAN PRINTING CO., LTD.